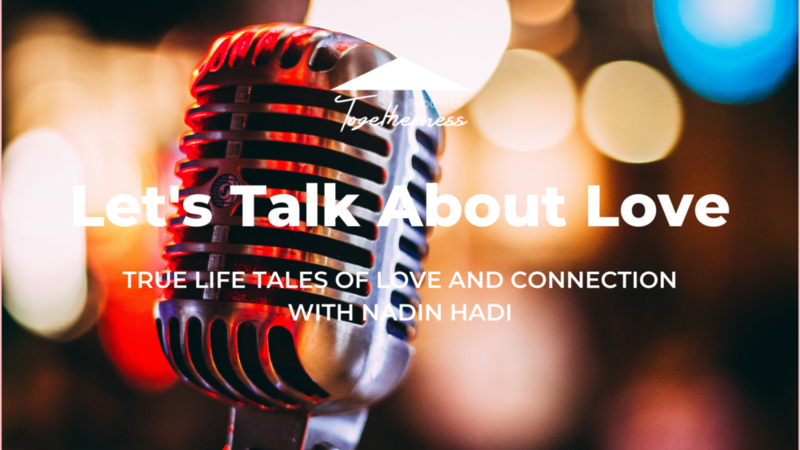 Join Nadin Hadi at House of Togetherness for an evening of true-life storytelling all about love. From romantic love. First crushes, first loves, grand passions that burnt like bonfires. The steady love of partnership, devoting yourself day after day. Our heartbreaks. The times we were broken. The times we were broken open. The courage of choosing to rise, open, love again. Come listen and share your real life love stories with a warm safe encouraging audience. Our families. Blood families. Our ancestors who stand behind us, the heritage we carry. All the richness and challenge of that. Our heart families. Our found families. The people who hold us. Our friendships. Sometimes they’re the great love stories of our lives. Our people, our pack, our tribe. The ones who remind us of our own magnificence, who help us be more, our storm anchors and guiding stars. The love we have for ourselves. The love you give. The love you receive. The love you show through your words, your actions, your way of being. Love as a verb – something you do. The love you choose, even when it’s hard. Especially when it’s hard. The love that shapeshifted; lover to friend, friend to lover. The love in letting go. The love that came for a season, the love that came for a reason, the love that lasted a lifetime. The love you long for. The big love, the Greeks call it agape, the Buddhists loving kindness, the love for all beings, interconnected and infinite. Love in all its faces. Come tell your story. Whoever you are, whoever, whatever you love, you’re so so so welcome. The mic is open to absolutely anyone. No experience is necessary. You can be a first-time storyteller or seasoned professional. We’d love to have you join us. Note, this isn’t a stand-up comedy night or a group therapy session. That said, we welcome the whole spectrum of stories and emotion. Whatever's alive in you. Your story can be funny, sweet, aching. There are prearranged slots and open mic spots on the night. For prearranged slots, if you’ve got a story you’d like to share on the night, contact Nadin at storymythmagic@gmail.com, with a short outline and we’ll get you booked in. For the open mic, there’ll be five minute slots with a one minute grace period on offer in the second half. Nadin is a storyteller and writer who believes in the power of sharing stories to understand ourselves and bring us closer together.